We have been working for 10 years with the “Wines of Argentina” (official organization of that country, which is in charge of wine advertising for the foreign market). Along with the United States and the United Kingdom, we are the only promotion office quoted on their sites – please refer to www.winesofargentina.org . Our job consists on planning and organizing all the steps of the campaign in national territory. Sopexa – French official organization to which we have already worked for in several promotional wine and agricultural food campaigns. Campaigns like “Champagne, Beaujolais Noveau and Viva a França em cada taça” (Hail France in each glass) are examples of our job. For further information, please see www.sopexa.com. ICE (Italian Institute for the Foreign Commerce) – we have made for the ICE a strategy for capturing importers for new wine producers; wine-tasting sessions and press conferences, as well as events for the trade. 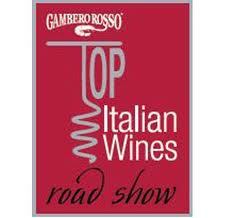 Also, we have dealt with campaigns for Italian wines and olive oil. COMISSÃO VITIVINÍCOLA dos VINHOS da MADEIRA, IVDP - Instituto do Vinho do Porto e D’ouro, COMISSÃO VITIVINÍCOLA dos VINHOS da BAIRRADA – Projects for promoting and advertising wines of several regions of wine producers. We have been working for 7 years for the development of the label “Wines of Uruguay”, promoting wine-tasting campaigns, gastronomic festivals, and other related activities. For further reference, please see www.inavi.com.uy. Our company is responsible for promoting into the national media several activities related to this entity. For further information, please see www.abs-sp.com.br. Development and organization of the “Desguste Espanha” (Taste Spain) project, in order to advertise Spanish wines and goods, and to show their quality and diversity of wines. Advertisement of the annual Chilean wine-tasting session in Brazil (2006). Media relations and advertisement of this innovative project within the world of wine. This has been an event that targeted to the general audience, in 2007, and has had a very satisfactory repercussion in the national as well as in the international media. Sogrape – to the Sogrape Group, we have produced press relations to the labels Sogrape, Ferreira and Offley (all of them belonging to the same group, but distributed according to their different importers. Importers – we produce campaigns for advertisement and release strategies of labels for several importers. This is done through jobs that are previously agreed. 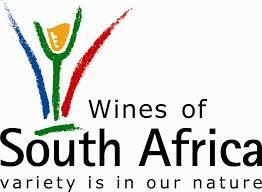 We also count on minor campaigns for importers from the following countries: South África (Distell); Australia (Bleasdale, Mitolo, Wakefield); Italy (I Balzini, Bertani, Camigliano, Cave di Moleto, Feudi di San Marzano, Vezevo); Chile (Santa Carolina, Santa Helena, Viu Manent); the United States (Paul Hobbs); France (Denis Duboudieu, Champagne Deutz, Chateau des Avelyans); and Spain (Jerez Fernando de Castilla).